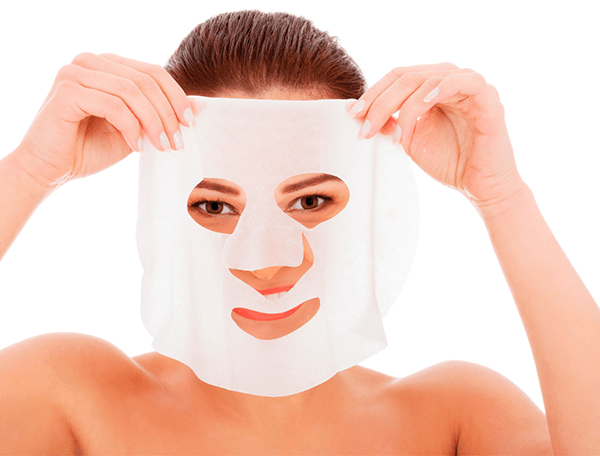 Place the mask on the face and neck after treatments, for up to 40 minutes. mesoskinline MESO ANTI-AGEING MASK comprises two layers: The first layer is made of a thick cellulose, while the second is a hydrogel. Both have an effective osmotic process that enables a high transfer efficiency of active ingredients (pharmaceutical quality) in the hydrogel film. To create the ideal conditions for stimulating the osmotic process, the skin needs a precise compression through a thick connection, which must be both flexible and elastic to snugly fit the shape of the area that is being treated (for this reason tnt is not the best material for stimulating the osmotic process). This is the biggest difference between professional masks and homecare masks. The mask increases the skin’s regeneration capacity due to the high percentage of hyaluronic acid, which has an instant softening effect. The MESO ANTI-AGE MASK contains an innovative formula of natural ingredients. The main ingredients are: Acetyl Hexapeptid-8 Argireline®, HA 25 %, Retinol and Resveratrol. The MESO ANTI-AGEING MASK reduces the depth of facial wrinkles caused by muscle contraction during different facial expressions, especially around the eyes, mouth and brow. It detoxes the skin and has excellent antioxidant properties (vitamins A, C and E). Due to the high percentage of hyaluronic acid, the physiological hydrolipid level is reconstructed from first application.